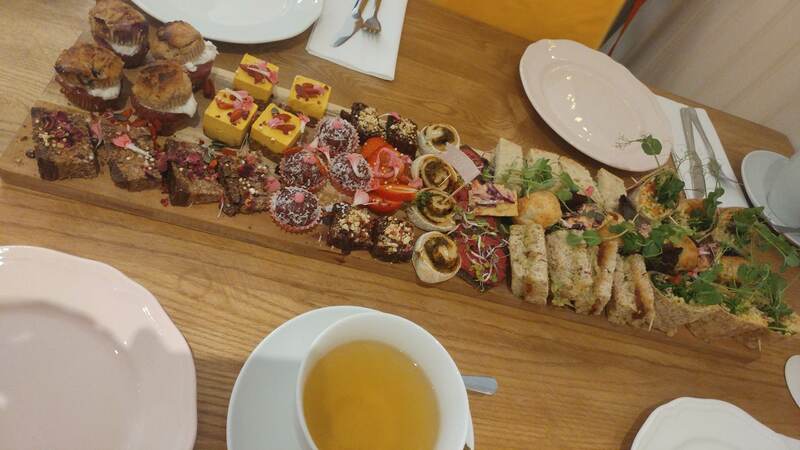 I don’t get vegan afternoon tea very often now that I’m living abroad, but every summer when I pop home for a summer holiday I take my mum for a birthday treat. 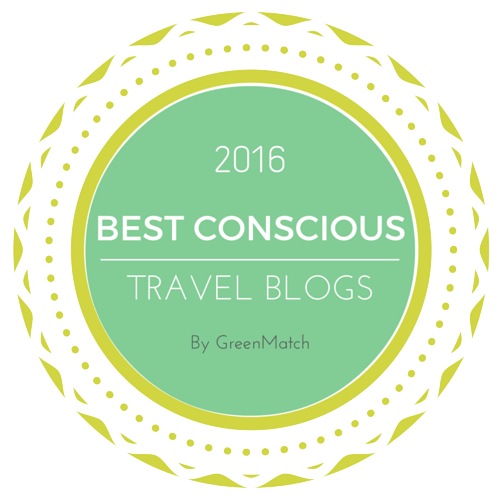 This year we went slightly further afield, travelling all the way to Bolton for the afternoon tea at Earthlings. Earthlings is a bright, cosy cafe with really friendly service. All their food is vegan (and the regular menu looks very tempting), though they serve dairy milk for their hot drinks. The afternoon tea is available if you book in advance – I booked a full month in advance because I was just so excited. And rightly so, as it turned out: here’s the afternoon tea. Top marks for presentation! Not only does everything look delightfully fresh, but seeing it all proudly on display on a wooden board was a nice way to showcase it. Here are the savouries! There were superfood wraps, containing seeds, leaves, and sweet potato, amongst others. There were four of everything (as there were four of us), but six wraps, which almost led to fisticuffs at the table – definitely a sign of how good they were. We had two kinds of finger sandwiches: cucumber and horseradish, alongside chilli jam and avocado. The former was not popular, as horseradish is somewhat polarising, but the others were absolutely wonderful. There were two different kinds of crackers: one was charcoal cracker with beetroot hummus, which was delightfully smoky and earthy, and beautifully coloured to boot. The other was a small cheesy coleslaw cracker, and I could have eaten twenty of them! And finally, two pastries: a pizza roll, which was a little chewy, very olivey, and had a mixed reception (two of us loved them, two did not); and a sausage roll, which had the best and flakiest pastry and won rave reviews from everyone. 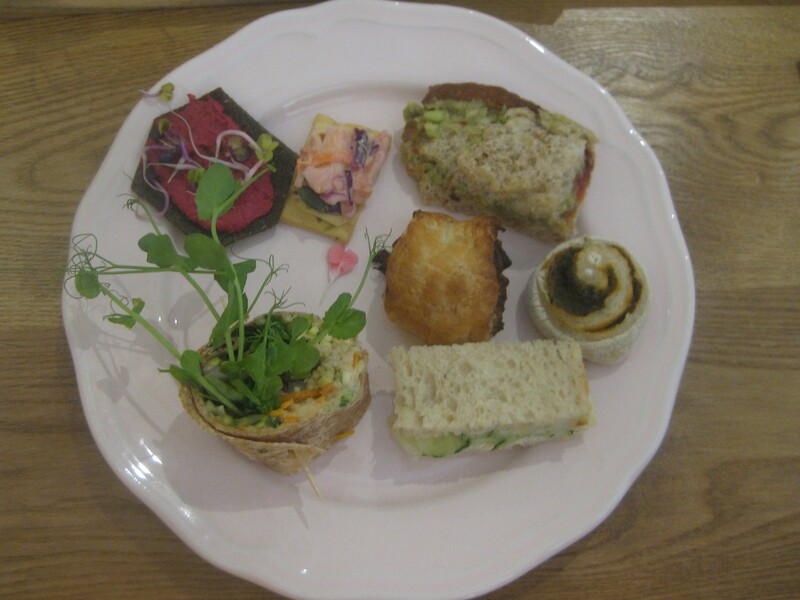 It was a lovely varied plate of savoury treats, and was generally very well received indeed. The offerings were so creative: there’s no way you’d get these same dishes replicated anywhere else. Onto the sweets! In the top left corner we have some mini blueberry scones served with coconut cream and a fruity chia jam. They were quite an exciting twist on the traditional scone, if a bit difficult to eat without the cream squelching out everywhere! The little orange cheesecake was one of the highlights: it had a raw, chunky base and a light, fruity mousse. The chocolate brownies were very rich and dense, which I thought counted in their favour, but my companions found them a little too much. Amateurs! They were intensely chocolatey, and served with a little bit of chocolate sauce. The beetroot and coconut raw balls were a surprise hit! They were surprisingly sweet (I think there was a good hit of vanilla in there), and really lovely – I think we were all expecting them to be virtuous and unappetising health food, rather than a bonafide treat. And finally, a raw caramel shortbread. The base and caramel were delightful, but the thick chocolate on top proved a little divisive: again, I loved it, but the others found it a bit overwhelming. All in all, the fruity treats were more popular than the chocolate ones, but I loved them all! I would highly recommend afternoon tea at this place. Presentation and flavours were all spot on, and the staff clearly put a lot of thought into creating a menu that is inventive and well-balanced. It was £20 per person, and we all left pleasantly (but not uncomfortably) full. The price included one big cup of tea each, but truthfully we were a little disappointed that they were all just Pukka teabags. This is a minor complaint though – I would definitely return to Earthlings to check out their regular menu, and to work my way through another feast like this! 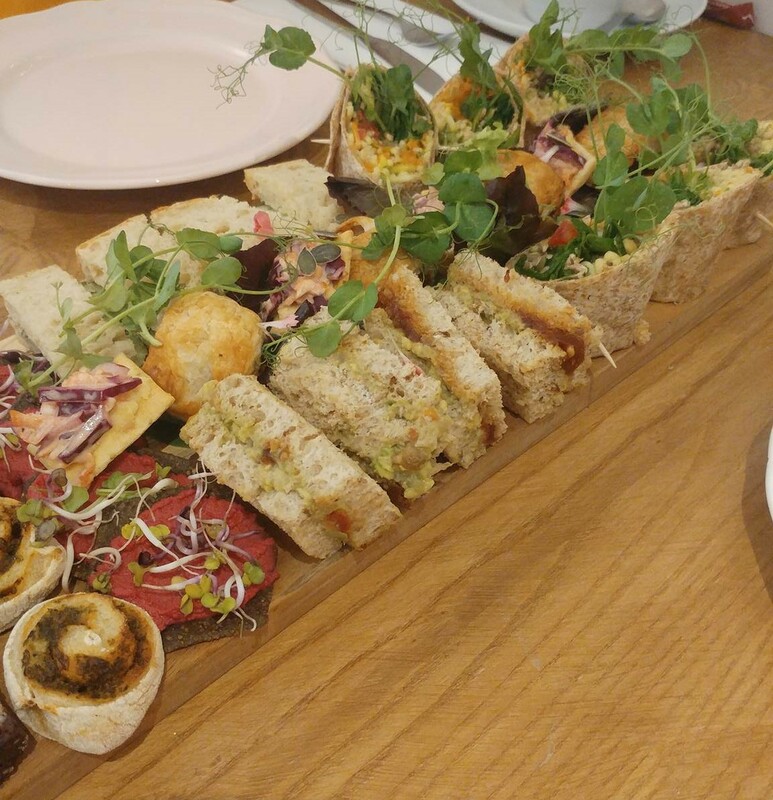 This entry was posted in Afternoon tea, Travel and tagged Earthlings Bolton vegan afternoon tea, vegan afternoon tea, vegan afternoon tea Manchester, vegan Bolton. Bookmark the permalink. I love the idea of presenting it all on a wooden board – everything’s so appealing when you can see it laid out like that. I’d be very happy to eat all of that for £20. 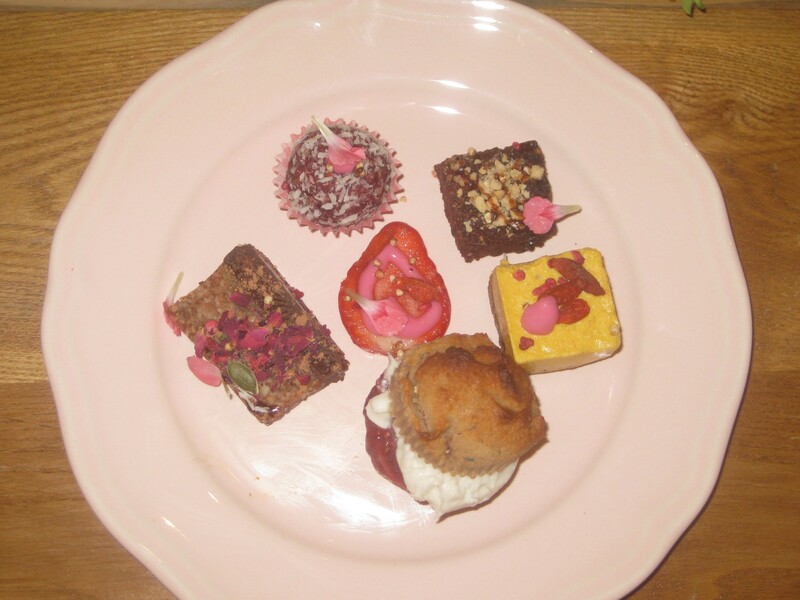 The pastries definitely sound a cut above what you’d get for most vegan afternoon teas. Usually I’m a big fan of cake stands, but I think this presentation worked a treat! Also, it’s much better for photographs!